Combining traditional documentary research with new analytical strategies, Robert J. Ferry creates a rich, three-dimensional picture of early Caracas. His reconstitution and interpretation of important genealogical histories provide a model for historical studies of Latin American and other societies. 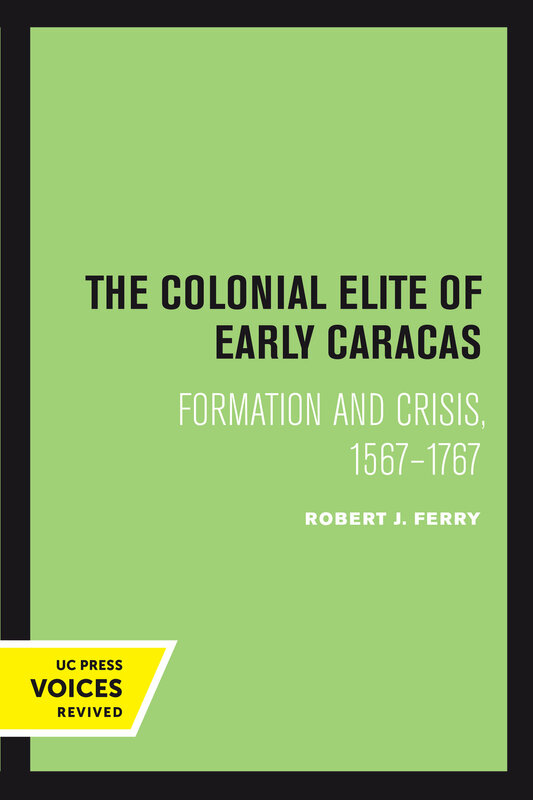 Ferry’s work partially eclipses previously accepted ideas about colonial Caracas. He shows how the society was dominated by a commercial-agricultural elite and demonstrates that women were responsible for arranging marriages and maintaining family lineages, that marriages among first cousins were very common, and that elite residence was matrifocal. The Colonial Elite of Early Caracas focuses on the salient features of the society and economy: agriculture, commerce, and labor. The first section treats the seventeenth-century transition from Indian encomienda labor to African slave labor. The society created by slavery and the cacao trade in the eighteenth century is the main subject of the second section of the book. 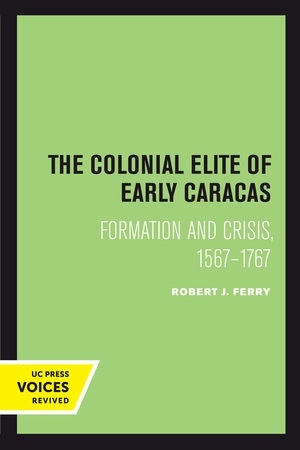 Throughout, Ferry leads the reader to a deeper understanding of the elite planters of Caracas, who were wheat farmers in the seventeenth century and cacao hacienda owners in the eighteenth. Ferry also explores how some families suceeded in retaining wealth and local authority from one generation to the next. That success is momentarily halted in the 1730s and 1740s, and the revolt of Juan Francisco de León in 1749 is viewed as a crisis of both the colony’s elite and the smallholder, immigrant class to which León himself belonged. The response to León’s rebellion represents a major effort on the part of the Spanish crown to restructure royal authority in the colony, arguably the first of the Bourbon reforms in the American colonies. Robert J. Ferry won the Kayden Manuscript Award of the University of Colorado for this book. He is Associate Professor of History at the University of Colorado Boulder.